This year’s Gathering on Friday night, October 10, had a strong panel of speakers: Jim Ruppe, Ben Honeycutt and Don Bailey, who were captured in these photos by Marilyn Moore Kerr. 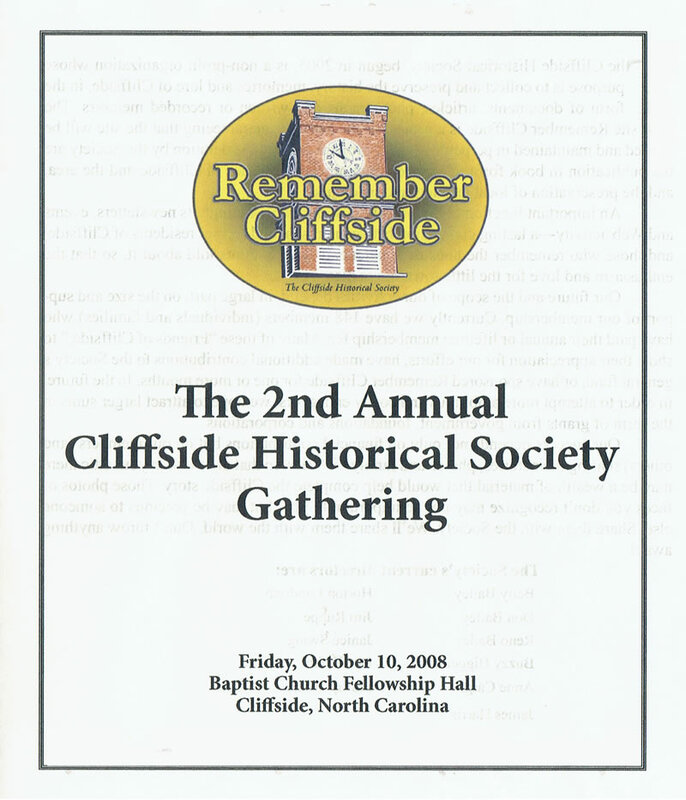 Over 90 enthusiastic friends of Cliffside had a grand time enjoying themselves and the speakers, who related their childhood and boyhood memories. 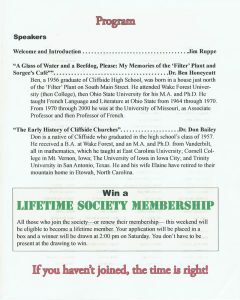 Don gave an interesting talk on the history of Cliffside churches. 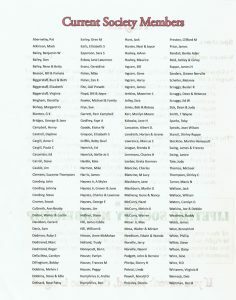 On this night and the next day, we gained 35 new members and 24 renewals. 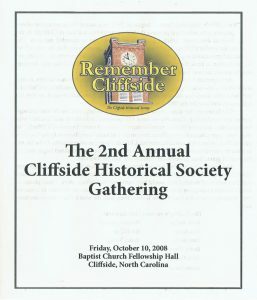 Thanks for all your help in making the Cliffside Historical Society’s weekend a most successful one! New memberships and renewals were up over last year. Souvenir sales also showed an increase. The hard work by a number of people helped to make the events a success. In the corporate world, it would be time to do a postmortem, while the events are still on everyone’s mind. This poll will be used to guide the Society for next year’s meeting, determining what went right, what went wrong, and ways we can improve next year’s meeting and Cliffside Day. This would include everything from initial planning to the program, facilities, selection of speakers and any items that you feel need to be addressed or would be helpful. Your input is important and any comment, no matter how brief, would be appreciated! We lived for several years in the house just below the Filter Plant where my dad, Jesse Honeycutt, was the supervisor. The wall box phone in the house was “on the same line” as the Plant. Our telephone number was 1303 and the plant number was 1302. If the telephone rang twice, we didn’t bother since that was for the plant. Three rings was for us. If my mother needed to reach my Dad, she simply cranked the phone twice and it was answered at the Filter Plant. Occasionally, in the fall of the year with the dropping of leaves in the river along with other temperature and climatic changes, which my Dad referred to as the “turning over of the river water,” a strange smell or taste might develop in our normally great tasting water (I was trained to say that!). At that point you could be sure that our phone would start “ringing off the wall”, as we said, and people had to be reassured that the taste or odor was harmless and that it would go away in a few days. At least that is what Dad told me. As a boy growing up, the employees who worked with my Dad at the Plant became well known to me and I considered them my friends. When I was very young, I remember that Sam Thompson, brother to F.C. 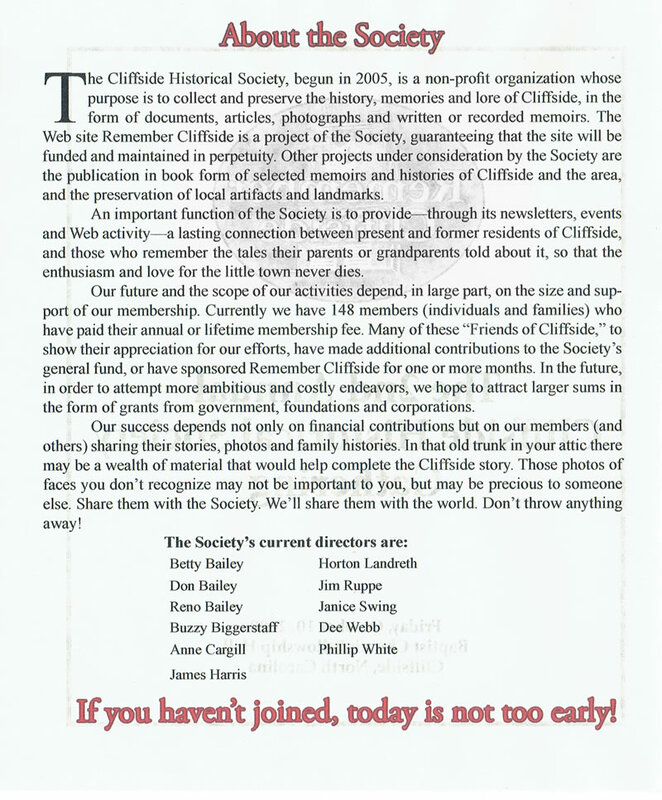 “Skipper” Thompson who wrote many articles about Cliffside (now found on the Remember Cliffside Web site), worked at the Filter Plant. Sam later moved on to become Superintendent of Water Works for the city of Spartanburg. 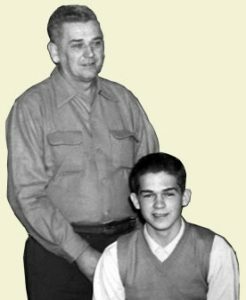 I can remember later visiting him and his wife Shirley Crawford Thompson, also of Cliffside, and their family when we would go on a church excursion to Rainbow Lake, where the Spartanburg plant was then. 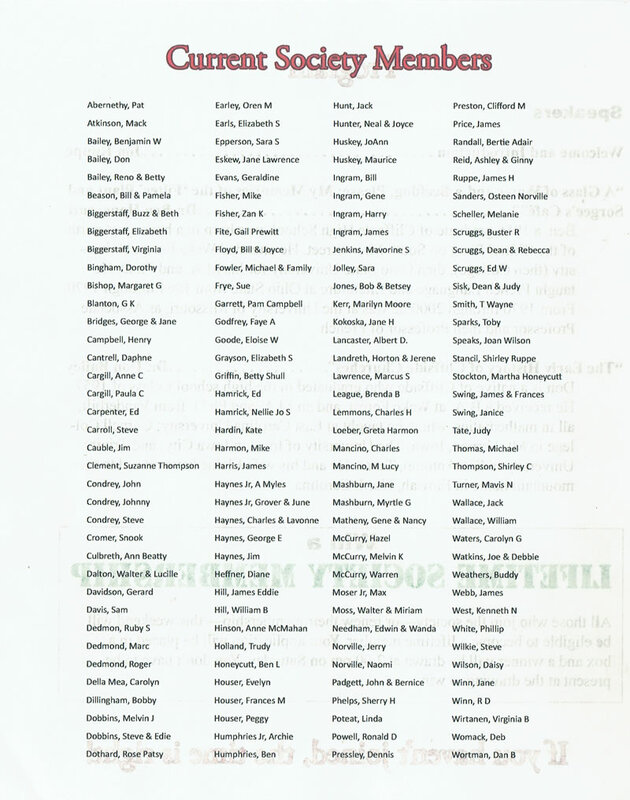 Three longtime workers whom I knew and appreciated were Gotha Humphries, Mal Matheny and Brack Guffey. As for Gotha, those of you who knew him remember that he was a great storyteller with a hearty and infectious laugh. My Dad and I went to several Rutherford County Owls baseball games with Gotha and his son Steve, one of my classmates, and I can guarantee you that there wasn’t anyone in Rutherford County more skilled and more verbal in riding an umpire than Gotha Humphries. I just remember hoping that we wouldn’t be thrown out of the ballpark. 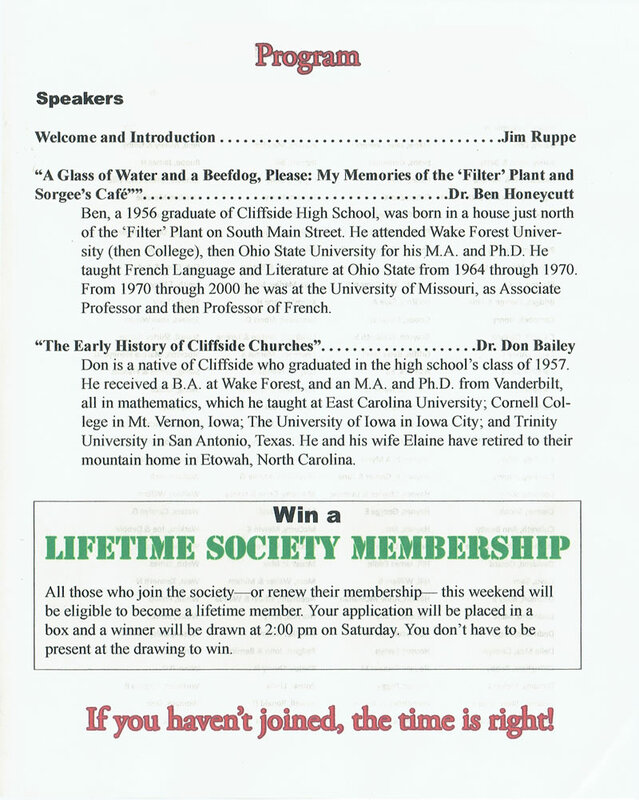 Brack Guffey was a man that everyone in Cliffside seemed to like and respect, and I am no exception. Mal Matheny was younger and a bit closer to my age when he started working at the Plant and I came to consider him a very good friend. When my Dad retired, it was no surprise that Mal was named to succeed him and he continued in that position for a number of years until his own retirement. 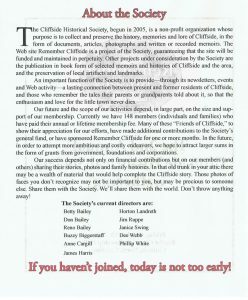 This article appeared in the Winter 2009 issue of The Cliffside Chimes, newsletter of the Cliffside Historical Society.